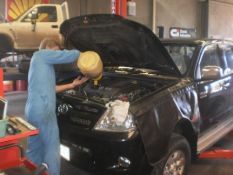 Our mechanical workshops cater for all types of maintenance, servicing and repairs to engines and drive trains of petrol, diesel and LPG powered cars, wagons, utes, SUVs, 4WD wagons and utes, trucks up to 5 tonnes. 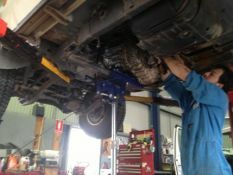 Authorised to carry out mechanical servicing and repairs for a number of fleet services. Genuine and aftermarket parts are sourced in accordance with each customer’s requirements. 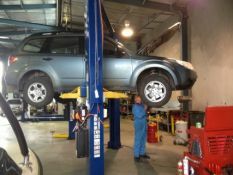 Genuine parts are used for regular servicing unless otherwise specified by the customer. 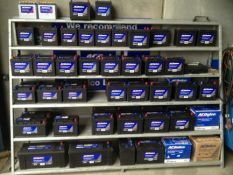 One of the largest stocks of batteries in the region. Our range of batteries cater to all types of machinery from mowers to industrial equipment. If we don’t have the correct battery in stock then we can get it for you overnight. 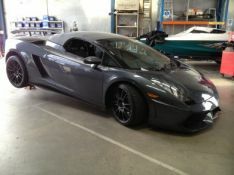 All standard and sports pre-manufactured exhaust parts and systems supplied and fitted to most types of engine. 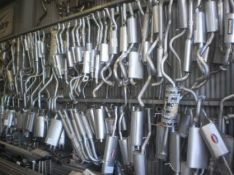 Specialist in custom exhaust system manufacturing and fitting for all types of vehicles, including small engines, vintage, veteran, classic as well as all modern vehicles. 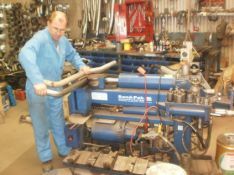 All types of pipe bending and manufacture such as air seeder pipes, handrails, roll bars, almost anything you can think of that is made from tubing. Modern vehicles utilise computers to manage and control all aspects of their operation. 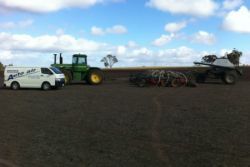 Specialist tools are required to work on these vehicles. Our trained staff utilise the latest specialised computer diagnostic tools to diagnose faults, leading to fast effective repairs to these vehicles. Registered with the Alternative Fuels Registration Board, Victoria, Registration Number AFR000817. We install quality Impco Automotive LPG systems as well as service, repair and tune all makes and models of automotive LGP systems. 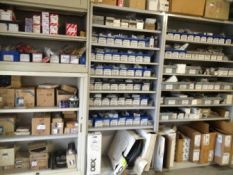 We carry a large range of spares for fast effective repairs and servicing. We also arrange LPG Tank testing. Fully licenced by the Australian Refrigeration Council Ltd and ARTICK accredited Licence Number: AU00880. 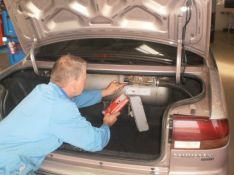 Technicians are fully trained, qualified and ARTICK registered providing the highest level of skill and expertise in installing, servicing and repairing all types of automotive air conditioning. Mobile air conditioning servicing and repairs unit available. 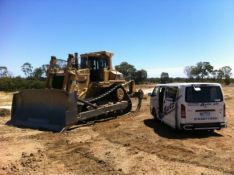 We come to your plant or equipment “On-Site” to service and repair air conditioners in any vehicle such as tractors, headers, trucks, bulldozers, backhoes, excavators and any other type of plant and equipment. 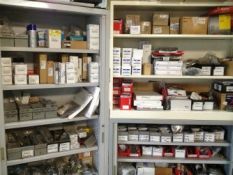 Stockist of a large range of air conditioning spare parts. 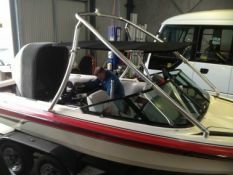 The boat servicing and repair department provides servicing and mechanical repairs to inboard boat engines and carry a stock of spare parts. Buses, including periodic safety inspections.